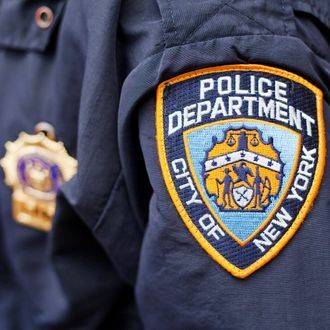 Earlier this afternoon in a house near Fort Greene Park, an NYPD officer shot a 40-year-old man in the chest after he lunged at the officer and a civilian, according to the New York Times. Spokesman Paul J. Browne explained the officer was returning from a court appearance when a woman flagged him down. “He goes inside the building with this woman, and this guy comes at her and him with scissors and the officer fires two times, striking the assailant.” No word yet on who the man is or what his condition might be.